Great housewarming, thank you or birthday gift. 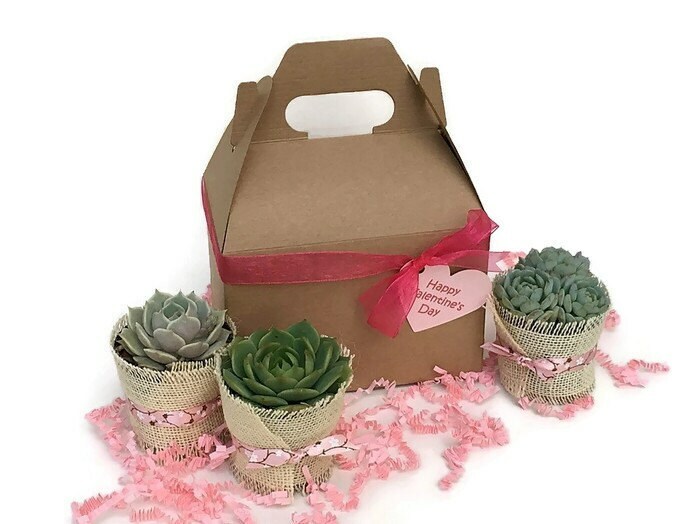 - Succulents are gift wrapped in a pink or Kraft gable style gift box and wrapped with pink sheer ribbon. Gift box is approx. 6"x4"x4" (LxWxH) height including handle is approx 7.5"
She loved this gift and it looks exactly like the photos! 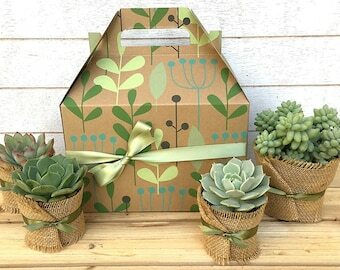 Perfectly packaged and cute. I ordered and it was supposed to be delivered on Friday. The owner forgot to ship it. She explained that she would get it delivered the next day and the item arrived 3 days later (on Monday). The owner offered to refund the money since she forgot, but then never actually refunded the money. I was trying to be understanding, but ultimately, this is poor customer service all the way around!